Image of Aesthetica Magazine article, published 2 September 2017. Features photography by finalist Jack Latham, 'Truck W, Idaho' 2014. 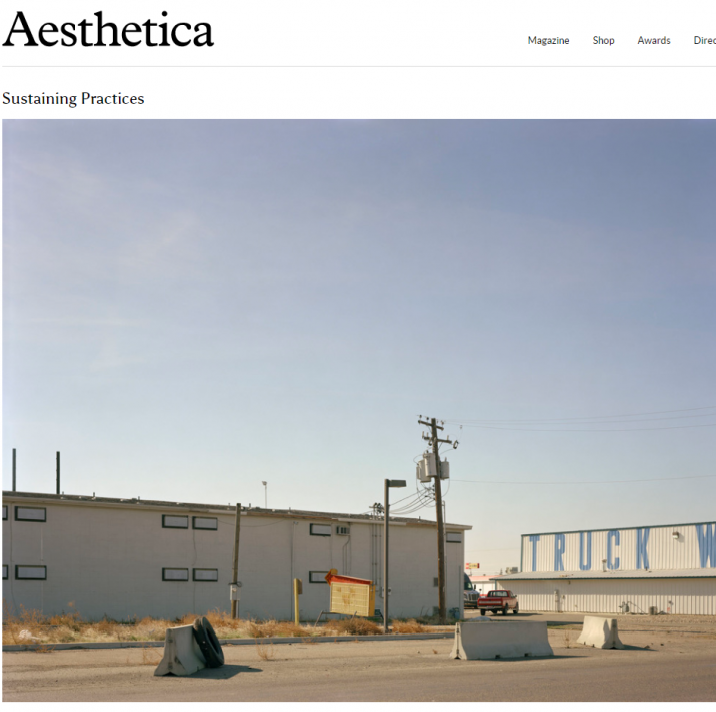 Aesthetica Magazine has featured an article on the ACS Studio Prize 2017 and our four finalists in a piece entitled 'Sustaining Practices'. The international heritage and multidisciplinary skill of finalists Marco Miehling, Rhona Jack, Jack Latham and Anna Biesuz are focused on in this positive article on the support and financial stability that ACS hopes to provide burgeoning artists as they graduate university. Aesthetica writes "All four artists represent various facets of the visual arts and are a positive indication of the quality of the next generation. The studio award is a essential promotion of fresh talents endeavouring to establish themselves in the industry..."
We are delighted to be able to showcase the work of the four fantastic finalists on a platform such as Aesthetica, and look forward to announcing Lady Bridgeman, Tim Marlow and Maggi Hambling’s chosen winner in the coming weeks. To read the article in full, head to the Aesthetica website here.